There is something really special about a candy buffet at a wedding. It elevates your special day to have a mystical and magical feel. But if you screw it up, or just don’t do it the right way, it can cause major problems. Claire from The Candy Buffet company recently gave some great advice in a blog about using wholesale candy to create a killer diy candy buffet at your wedding. First, let me say that The Candy Buffet Company does amazing work. They are based in Australia, so we have not had the pleasure of working with them yet. But after reading the recent blog from Claire, I went to check out their website. It’s stunning. They are taking candy buffets to a whole new level. Check it out if you’re looking for a candy buffet company down under or if you just want to be inspired by their creations. Now back to the point. Yes these confectionary displays are great. It’s one of the most remembered features of any wedding. People stand in awe of the buffet table and can’t wait to dig in. But you must stop them, because although the bulk candy buffet is a stunner, it can ruin your wedding reception if it’s not done right. Some of the advice Claire gives includes having a plan for when the candy runs out, and it will run out quickly. She goes into very specific detail about when you should make the buffet available to your guests and why. Think about how much you are paying for the dinner. Do you want them to be full on candy before they are served? She talks about placement of the buffet and consideration for the layout of the event. But the most genious advice she gives is about creating a reveal for the candy buffet that is both dramatic and strategic in nature. I won’t steal her thunder, check out the blog post for yourself. Many couples are hiring companies to design and build candy buffets at their wedding. It makes sense, if you can squeeze it into your budget. There are so many candy options out there and infinite design themes and accents. Where do even begin? 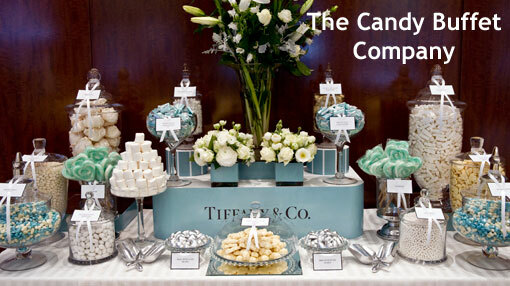 That’s why having a candy buffet company can be very helpful. So if you’re in Australia, look these guys up. If not, have your buffet planner take a look at their website at least. They are doing things with bulk candy that are raising the bar everywhere. Please come and see some of our newest work. Would you mind placing a link to our website in your article? Thank you!! Awesome! Love the new stuff! We are linking to your site in the article already. Please let me know if something about the link does not work for you. Thanks!